Chris enjoys playing with heavy equipment, welding all our equipment back together, being The Boss, and getting the job done. He has pushed to make advancements to grow the company over the years, and is never afraid of a challenge. In his creative time he paints and sculpts, including awesome wood chainsaw sculptures! In his off-time he shreds it snowboarding, 4-wheelin’, or enjoys his new wife and gaggle of kids. Steve loves growing the company and providing meaningful employment to his team. 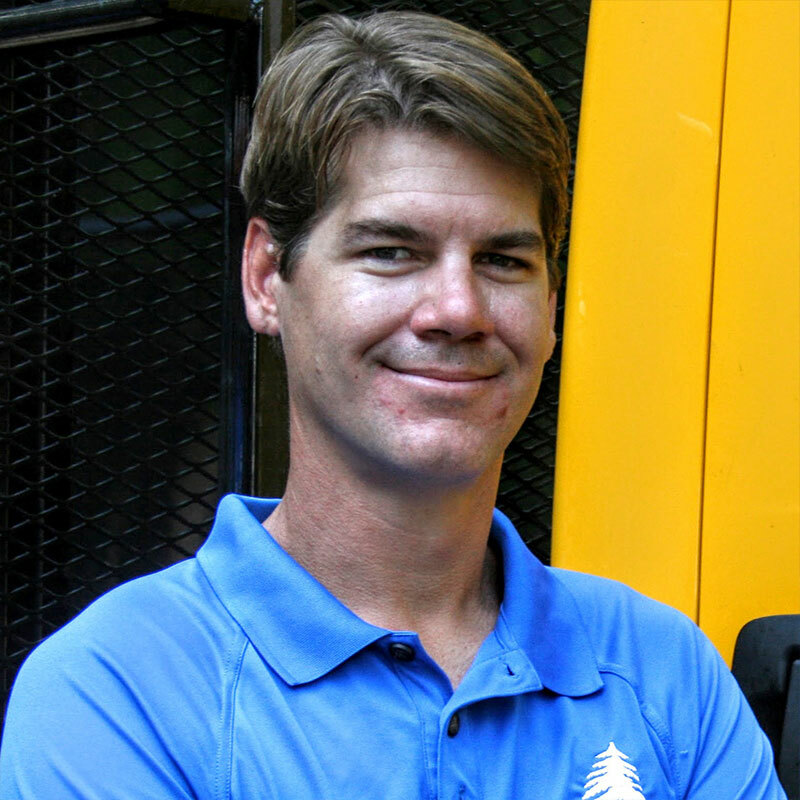 He is proud of taking the company from "2 men and a truck" to a well-trained professional crew with a fleet of trucks and a trail of happy customers. When he’s not directing sales and logistics, he enjoys taking the crew on the occasional "morale-building" field-trip to the go-kart race track. 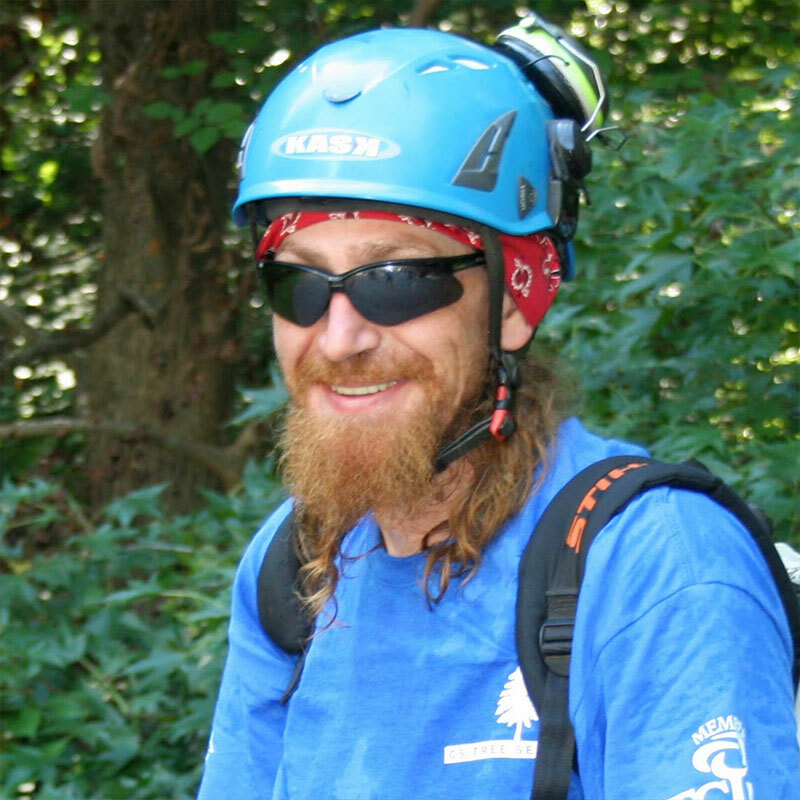 You may also find him tinkering on his beefed-up Land Cruiser, ripping powder on a snowboard, policing his children, and spending chill time in the woods. Kyley is our Lady of Marketing who oversees marketing and branding activities. 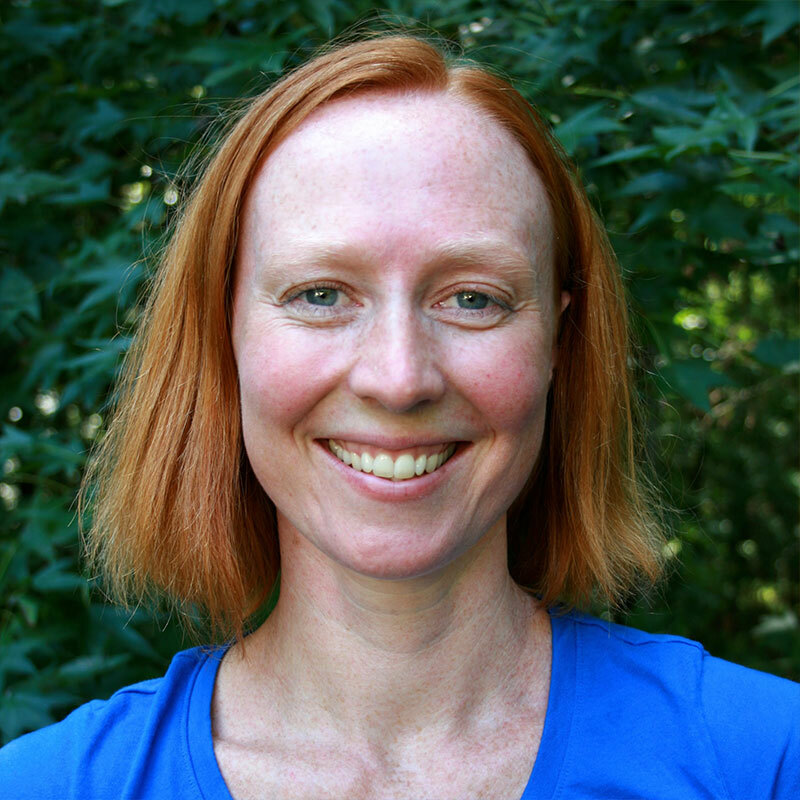 She puts her MBA from Kenan-Flagler Business School to work by helping CS attain their marketing goals. She also happens to be Steve’s main squeeze. For fun Kyley loves peaceful hikes in the woods, playing piano, traveling, mountain biking, and getting back rubs. Kyley also runs her own small business, PeaceGoods.org, selling fair trade silk scarves hand-made by a women’s cooperative (which she founded while serving as a Peace Corps volunteer in Madagascar). In his downtime he’s out on his motorcycle, off-roading in his truck, or playing guitar/drums. 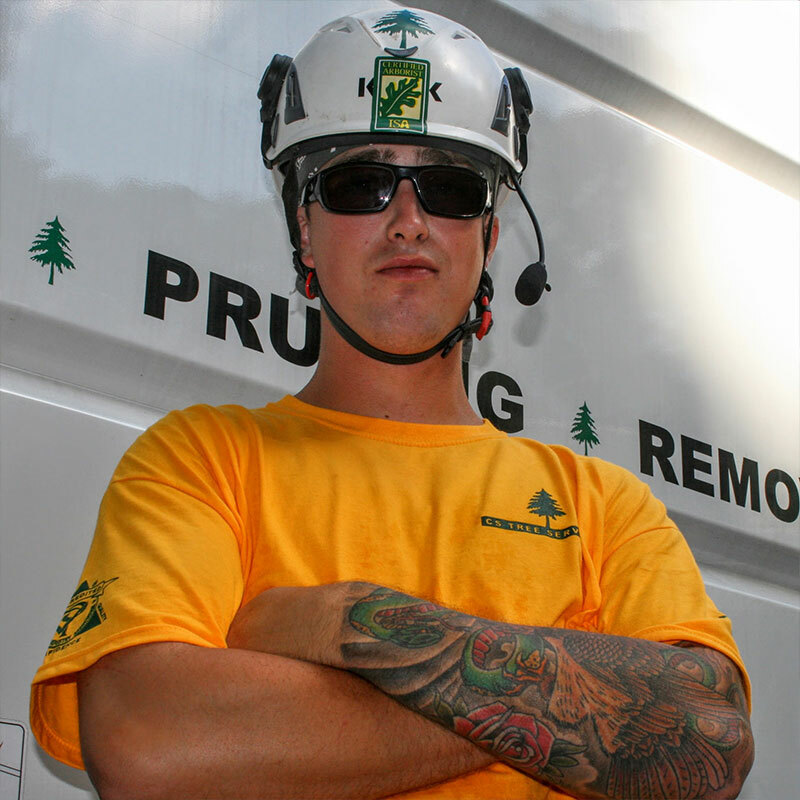 Certs: ISA Certified Arborist, ISA Certified Tree Worker, NC Certified Crane Operator, CDL, NC Pesticide Applicator, Arbor Master Training, CPR/First Aid. 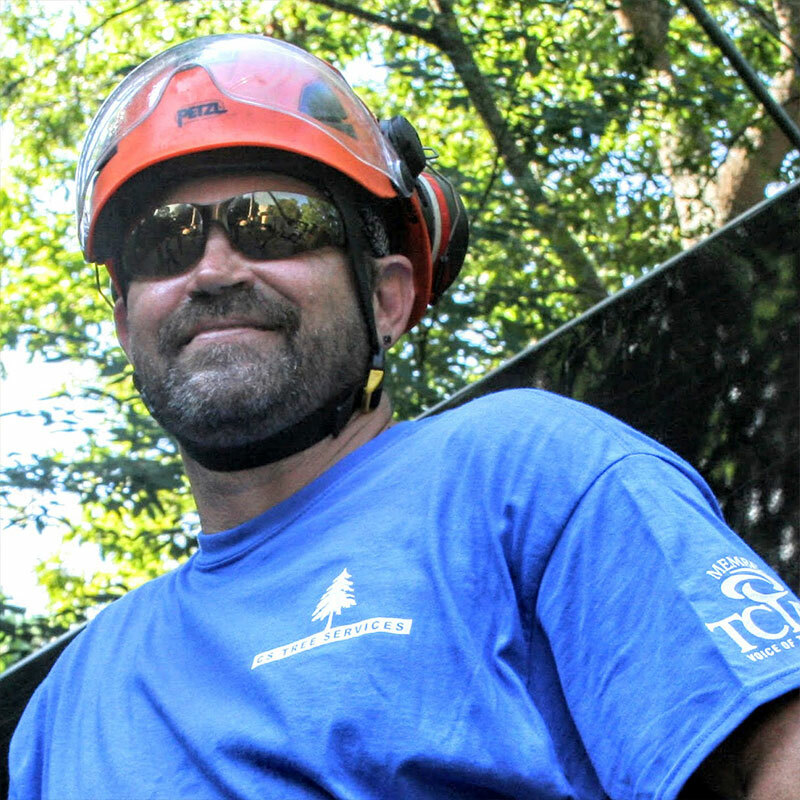 With 20+ years in the tree service industry, Wes has nearly seen it all. 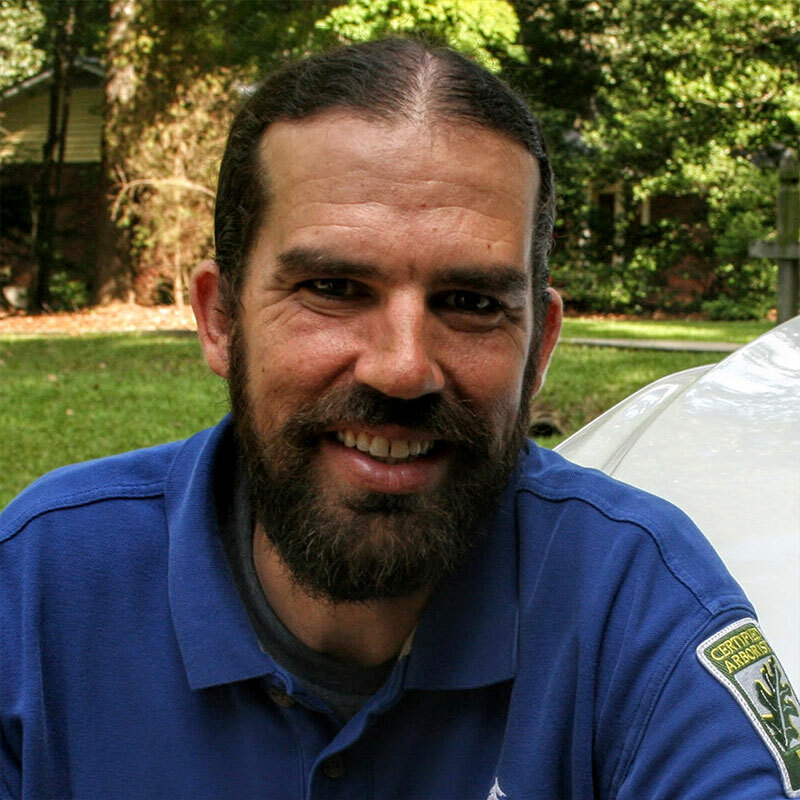 His in-depth knowledge of safety protocols and technical know-how are big assets to our team. His favorite thing about CS is that everyone is respectful, knows their job, and gets the job done. In his free-time Wes is a singer and a family man. Weird fact: he had three sets of teeth! Certs: EHAP (Electrical Hazard Awareness Program), CPR/First Aid. 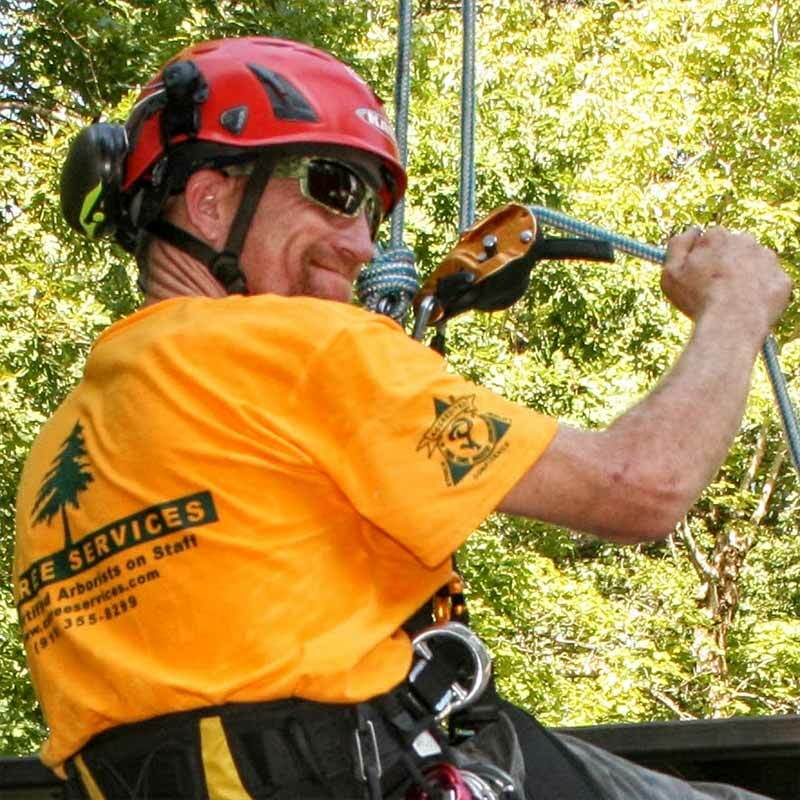 Doug spends most of his time up in the air - in a tree or dangling from the crane. 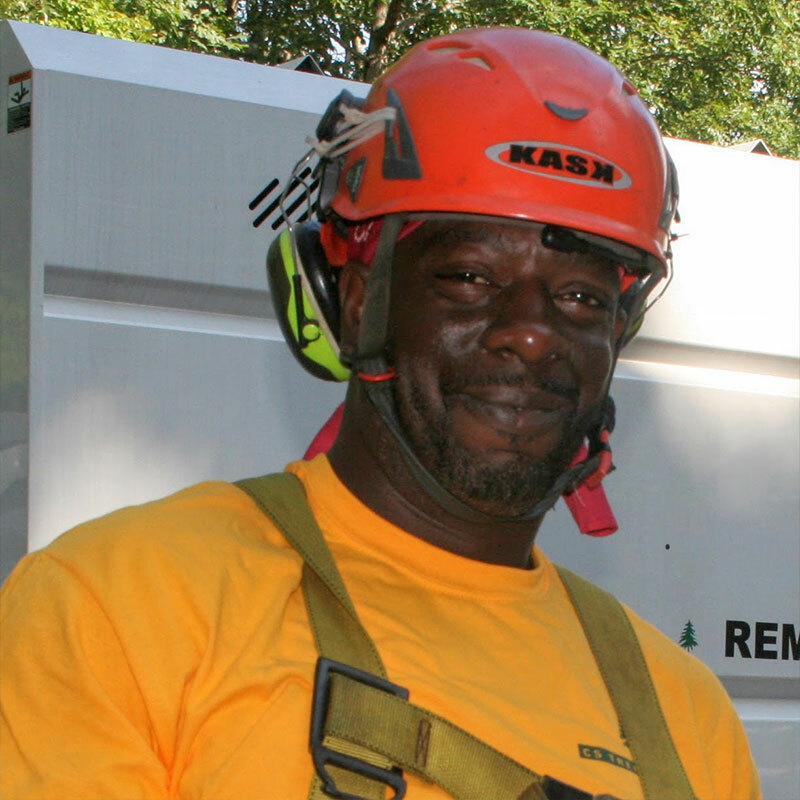 Doug spent years in the air building skyscrapers before joining our team. 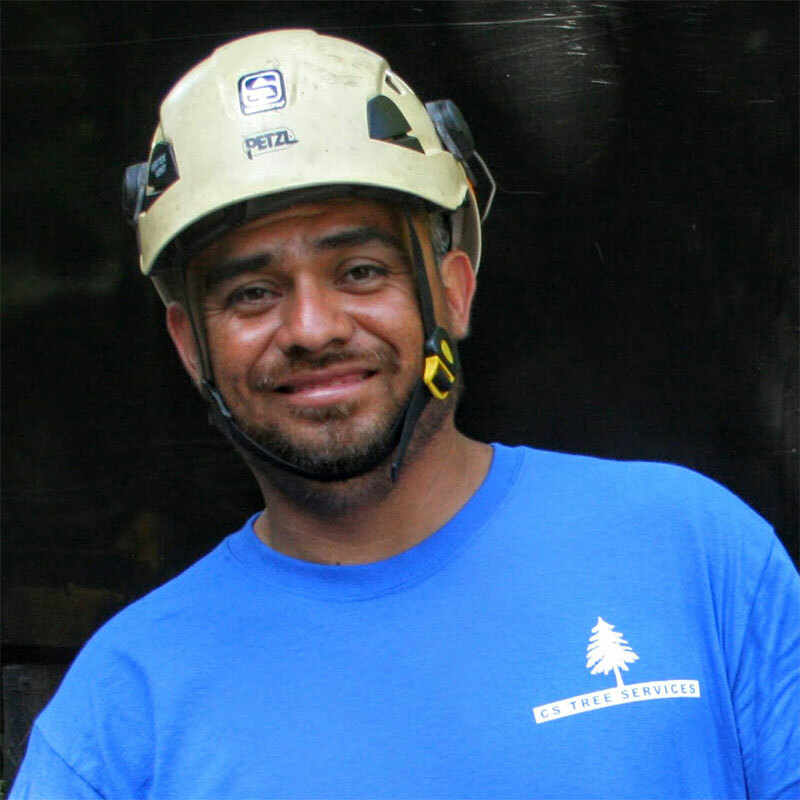 He also spent 10 years in the rodeo riding bulls, it was a lifestyle that he really enjoyed, and he finds that tree work gives him the same thrill. He loves climbing, "flying crane", felling trees, having fun and picking with the other guys to help get through the day! He shows up to work with a great attitude and ready to rock - we are grateful to have him on our team!